These premium products are available to purchase a la carte or in a package. Please contact me for more information regarding pricing. 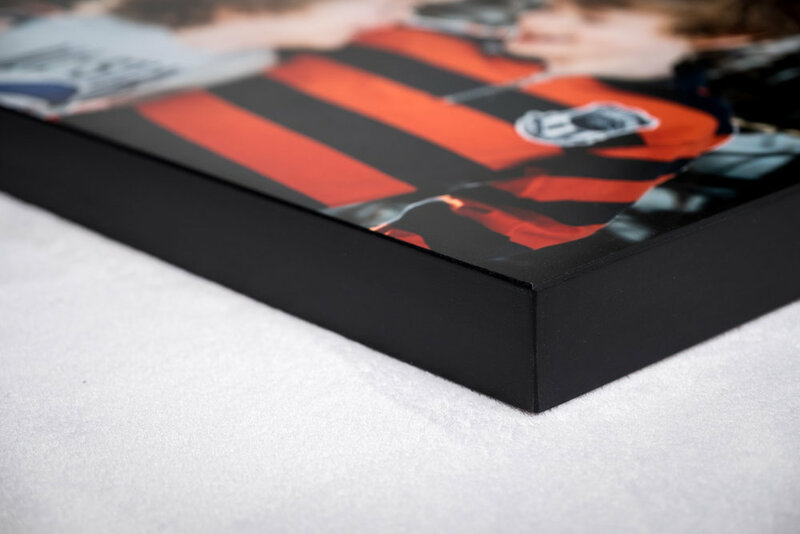 Premium, hand crafted, flush mount albums are the single best way to preserve your family memories. When you purchase an album, you are investing in an heirloom quality product that will last for years. The ready to hang Standout display lends a clean, contemporary look to your wall art. It enhances your photo with a pronounced 2" thick side with beveled edges and is available in 4 edge colours. The ready to hang Canvas gallery wrap looks great on any wall. Hand-stretched using the finest quality archival canvas on solidwood stretchers using real pigment inks. All of the canvases are coated with archival laminates for extra protection and durability. 1″, 1.5″ & 2″ thickness available.